Creative works of art come in many forms, but glass is one that holds a fascination for all those involved in the industry. I sincerely hope that from the images contained on these pages you will see and appreciate the artistry of current British glass designers. 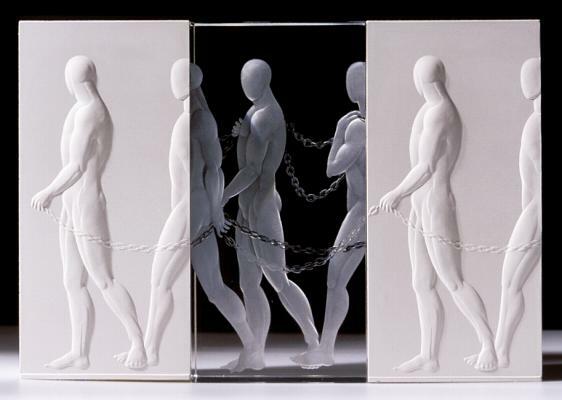 Born in Essex, Norman gained a BA in glass and ceramics at Middlesex Polytechnic in 1976. 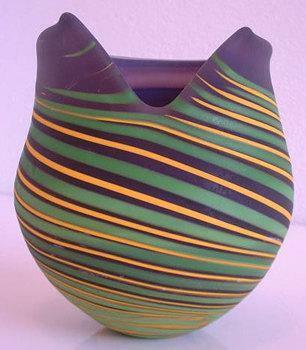 A pioneer of British studio glass, Norman worked with Peter Layton in London before moving to Cornwall and opening his gallery and studio at St. Erth. Norman is influenced by the beauty of Cornwall - its rushing waves, the sunlight through the trees and the silent presence of standing stones. 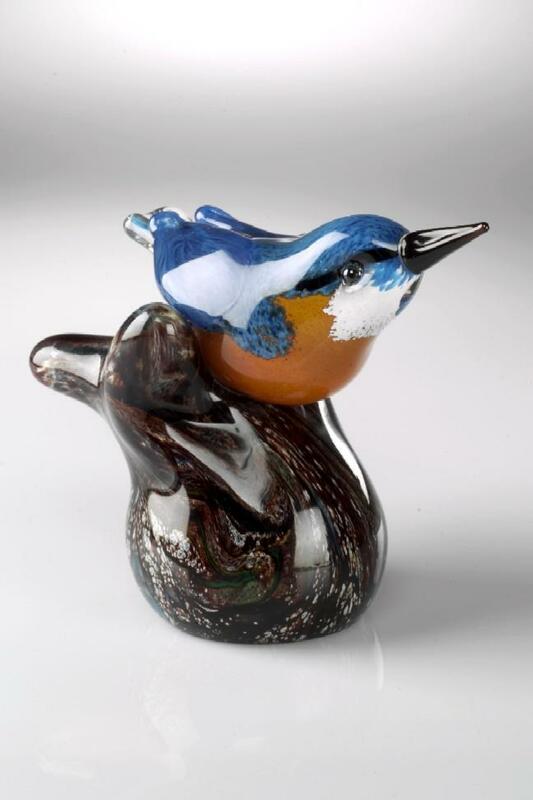 The beautiful glass vases, bowls, perfume bottles and paperweights are exhibited world-wide and included in many private and public collections of art. My work tends to reflect my immediate environment. 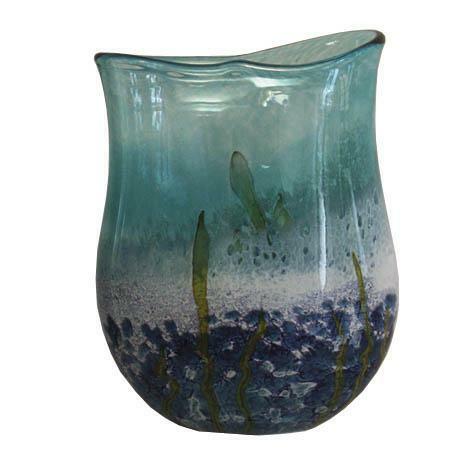 Inanimate object, feelings and ideas are all expressed as colour and light within the glass. 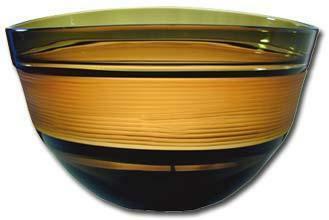 The spontaneity of working with hot glass was its first attraction. The material is never dull. It can be unpredictable and wilful and the finished piece is often far removed from the original concept. Although I do occasionally plan my designs on paper, more often the first rough sketches are done with the hot glass itself. 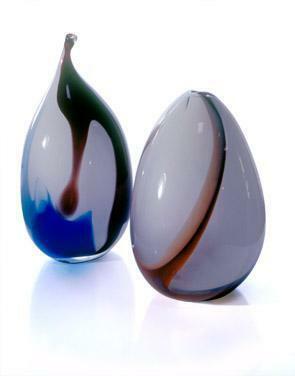 The making of glass combines all the elements- earth, wind, fire and water and as such seems a wholly natural process. I sometimes feel that I am no more than the catalyst bringing all these elements together for their own mysterious purpose. 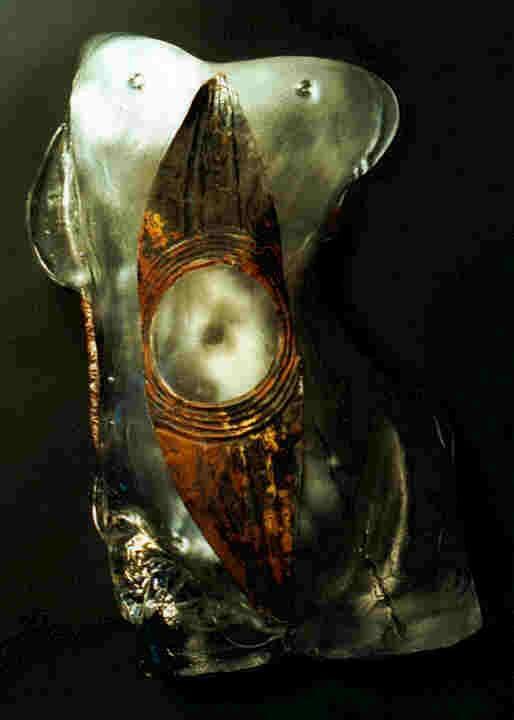 Alison Kinnaird Statement on Artist: Alison produces sculptural pieces expressing the intrinsic qualities of glass - transparency, reflection, distortion - using glass as window, door, mirror, water, ice, or air, usually with the human figure as its main subject. The glass is all copper-wheel engraved and can be clear or coloured. "After studying glass at Brierley Hill for one year I returned to Denmark where I worked for Soren Ringgard from 1993-1995. I've worked at London Glass Blowing from 1996-2000 and recently part-time alongside studying for a BA(Hons) in Painting at Camberwell College of Arts. I enjoy working in both areas and letting them feed one another. Simplicity is at the core of my intention. Echoing the changing properties of molten glass, I aspire to capture elements of surprise. My aim is to invite people to touch, use and enjoy the objects." Joy says; "Our workshop is on a river island nestling in a Peak National Park valley. Our work is inspired by the beauty of these surroundings and by the unequalled magic of the glass making process". Layers of rich, are combined with gold and silver fused into the glass to create their distinctive and exclusive style. Large plates with vibrant radiant images speak of eternal tales.